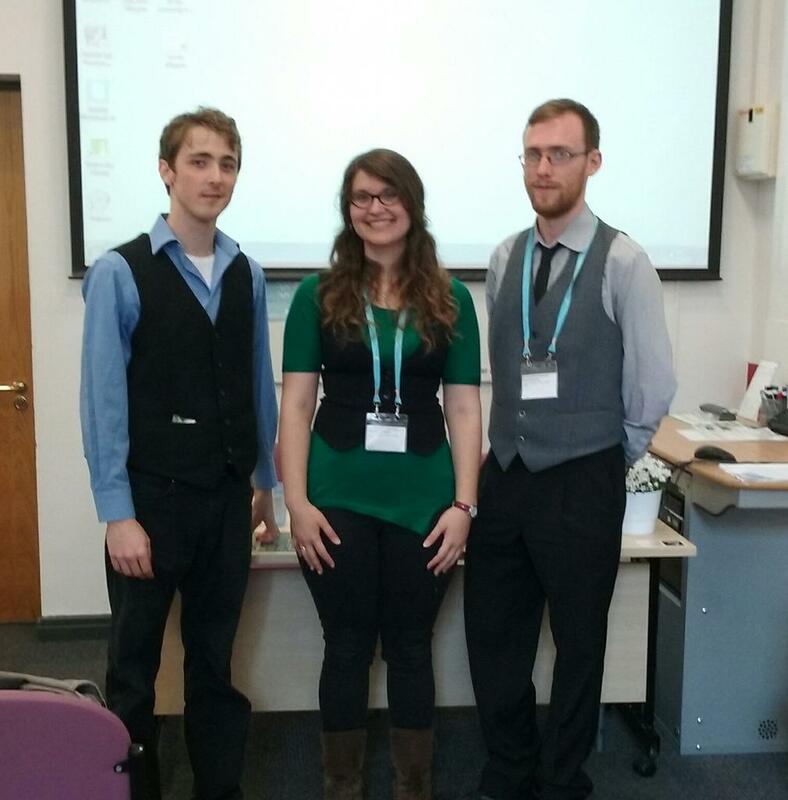 So recently I went to the 2015 International Medieval Congress at the University of Leeds. 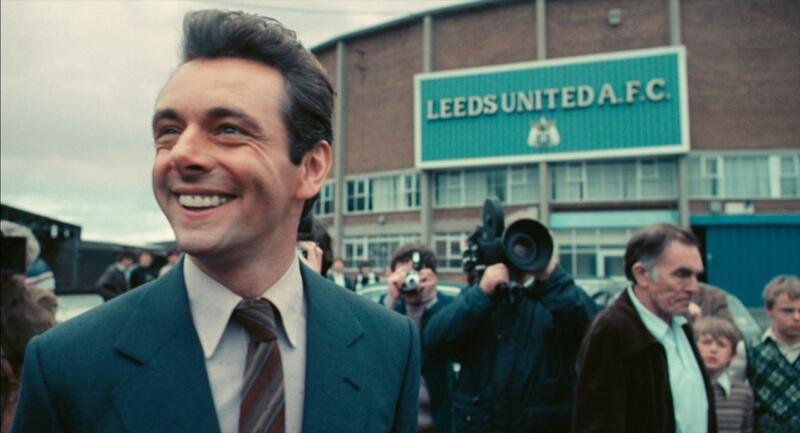 On my way there I kept thinking about Michael Sheen playing Brian Clough when he learned he got the management job. Thankfully my experience didn’t involve a string of failures and the loss and recovery of the bromance of my life. Let me tell you what actually happened. Semi-ungodly Ryanair flight on which we ran into intrepid scholarly friends of ours. A very swish bus into Leeds. Collect name tags. Eat cheap and tasty falafel sandwiches. Explore campus. Leeds is pretty. Enter the cave of wonders. The book sale was mighty impressive. 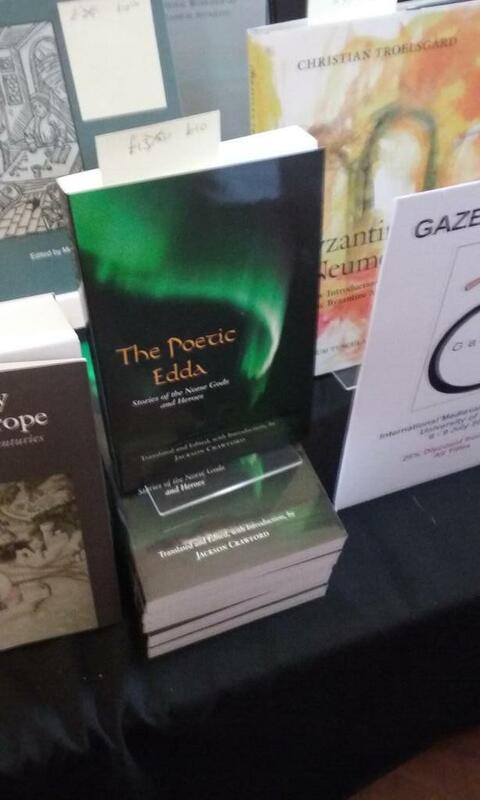 While browsing, I was repeatedly tempted by Jackson Crawford’s new translation of the Poetic Edda. I’ve loved his Cowboy Havamal (words of wisdom from Odin translated into Texan English) since I first read it and think his work is superb in general. Of course I came back the next day and bought it. I regret nothing. As it was mid-session time-wise, I and the other wise clerks of Dublin took shelter from the rain in the Congress marquee and availed of free tea and tafl. A quick trip back to accommodation that we had thought was a hostel but turned out to be some kind of very lovely budget hotel and then it was back to the university (stupid uphill road) for panels. Aurélie Brémont and Kris Swank (both lovely people) drew interesting connections between Tolkien’s writings and the medieval Irish genre of the Immram (voyages to the Otherworld). Tolkien said some less-than-complimentary things about the Irish language (‘mushy’) but thanks to scholarship like this (and the work of Dimitra Fimi) it is becoming clear that Tolkien was deeply influenced by medieval Irish literature. Aurélie noted that Tolkien mentioned St Brendan in his writings as early as 1924, long before he wrote his poem Imram (The Death of Saint Brendan), which was published in 1955. Kris’ idea that Tolkien’s children’s book Roverandom shares a narrative structure with Immrama seems pretty well backed up by the textual evidence, though it implies Tolkien understood the structure of Immrama better than some Celticists at the time. Andy Higgins presented a really interesting paper on Tolkien’s use of Welsh in his early work The Tale of Tinúviel. When Tolkien revised the tale, he changed several of the characters’ names to make them more Welsh-sounding. Andy is one of the few scholars who can speak with equal authority about both Tolkien’s invented languages and his fictional writings. It’s the kind of cooperation between literature and linguistics that Tolkien himself would have wanted and shows philology at its best. Session 440 ‘New’ Tolkien: The Fall of Arthur and the Beowulf translation. I was moderating this roundtable and was fortunate to have speakers who were both erudite and disciplined with time. Mark Atherton argued that Beowulf’s influence could be seen throughout Tolkien’s The Fall of Arthur, in style as well as concepts. Dimitra Fimi saw both The Fall of Arthur and Tolkien’s translation of Beowulf as being in conversation about versions of Englishness and tied them to Tolkien’s attempt to make a huge pseudo-historical frame narrative for his tales. Nick Groom – a Tolkien scholar anomaly, being a modern literature expert – situated The Fall of Arthur in the context of nineteenth and twentieth-century uses of Arthurian mythology: Arthur as commercial brand, Arthur as nationalist icon. The lively discussion with the audience focused on nationalism and the question of whether Tolkien is being received in a canon of his own making. We all retired to the Terrace Bar for some surprisingly affordable beer, and more Tolkien plotting. Delicious greasy breakfast in a pub. I take an odd, and very male, pride in having managed to include bacon in each of the three meals I ate that day. I’m very interested in how we use maps to shape our perception of the world and as artefacts to construct other, imaginary worlds. This panel was a fairly technical one for serious scholars of medieval cartography, however, so it left me a little cold. There were papers on Hugh of St Victor’s use of maps as teaching aids; the maps in Ranulph Higden’s Polychronicon as organized knowledge; and a very lively paper on the use of details from the Voyage of St Brendan (he does get around this conference) on medieval mappa mundi. Interesting but a bit specialist for me. A panel this interesting deserved a bigger room. The crowd kept coming and soon there was only standing room. 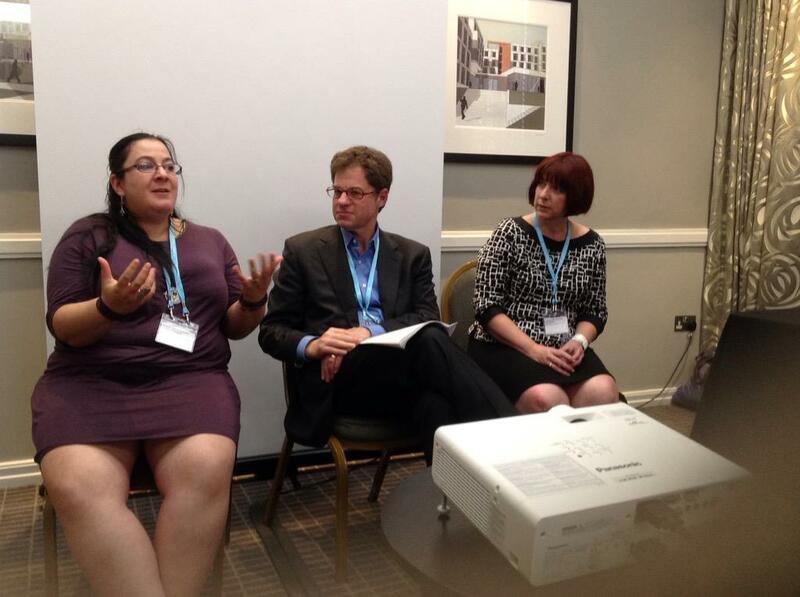 I was moderating and chose to prop myself against the wall so I’m afraid I don’t have notes. Alice Jorgensen discussed the legacy of neoplatonism in the Old English translation of Boethius’ Consolation of Philosophy and the connections between emotion and motion in the metaphors used in that text. Erin Sebo asked what it meant to be a good king in the feuding political world of Beowulf. Lisa Bennett examined the political and cultural implications of genealogies in the Icelandic sagas. I disappeared off to a computer room to make edits to my paper and powerpoint. I’ve taught medieval literature for years but my conference papers tend to be about modern medievalism rather than medieval literature itself so I found myself double checking my translation of every sentence I was quoting. 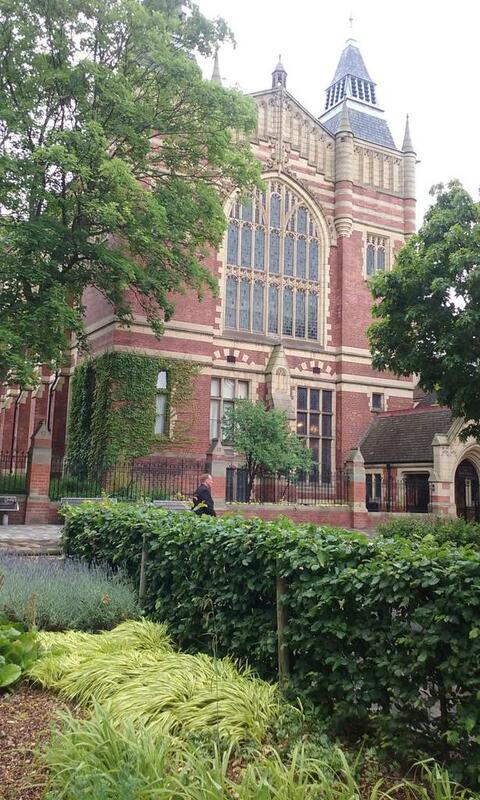 We had dinner in the Old Bar, Leeds’ delightful campus bar which felt much more like a pub than a bar. It was jammed with medievalists but thankfully we managed to grab a table. The food was delicious, the beer was good and it was a pleasure to catch up with old friends. Wednesday began with more paper edits, coffee and a trip around the craft fair. There were lutes and drinking horns and brooches and other delectable things. Most were out of my price range which was undoubtedly for the best. It wouldn’t do to try to be either Kvote or Egil Skallagrimsson. This was one of the highlights of the conference. James Howard unpacked the medievalist gender roles built into Shadows over Camelot. Curious how the black cards which hinder you are mostly female characters while the white cards which speed your quest are mostly male… And lets not mention the Lady of the Lake being reduced to a plastic hand holding Excalibur. Simon Trafford discussed the military strategy game Britannia which allows players to shape the first millennium of British history but also makes some historical events unchangeable. Elizabeth Centanni talked about the question of how medieval/modern our experience of medievalist games is. Daisy Black presented a fascinating and hilarious look at gender roles in medievalist games. She proposed a medieval Bechdel test for games: they could pass if they had equal numbers of male and female characters, at least two female characters were not malignant and there were at least two female characters who did jobs women actually did in the Middle Ages (rather than the ubiquitous witch or soothsayer). A recurring theme of this panel was gender. Thankfully there wasn’t a board game version of Gamergate present (Does such an awful thing exist?). Another was the inherent tension between the mechanics that make a game play well and the complications of a rich and historically-nuanced narrative. The main thing I took away from it was that if we want to see board games that use the full cultural and historical resources of the Middle Ages, we may have to design them ourselves. Back to the computer room for final paper and powerpoint editing. Luckily Leeds’ computers have the Junicode font I needed. I swear I had actually written my paper before this conference, I was just very nervous about it. Session 1408 PhD? What Next? This was a roundtable intended to give advice to PhD candidates and recent graduates who can’t find a job in third level education (that would be most of us then). I’d sum it up as sobering. It looks like job insecurity and poverty will be as much a problem even if you get out of academia. Ho hum. Some speakers were very helpful, some less so. If you find yourself giving advice, focus less on luck and more on things people can actually control. The more helpful speakers emphasised the skills you currently have and the fact that getting a non-academic job after a PhD isn’t failure. Back to the Old Bar for dinner. It really is an excellent place for tasty and affordable food. Another conference highlight, this panel had three excellent papers. Ellie Crookes examined the use of Joan of Arc in nineteenth-century English literature, where she proved a malleable figure; conservatives could stress her piety, liberals and feminists her chutzpah. Curiously, her Frenchness wasn’t an issue. Dimitra Fimi discussed Celticity in Lloyd Alexander’s Chronicles of Prydain. She went some way to unravelling Alexander’s medievalism, his invented traditions and the invented traditions he thought were medieval. In short, Prydain is/isn’t Wales and the Welsh Triads are/aren’t nineteenth-century forgeries. I kid, I kid. 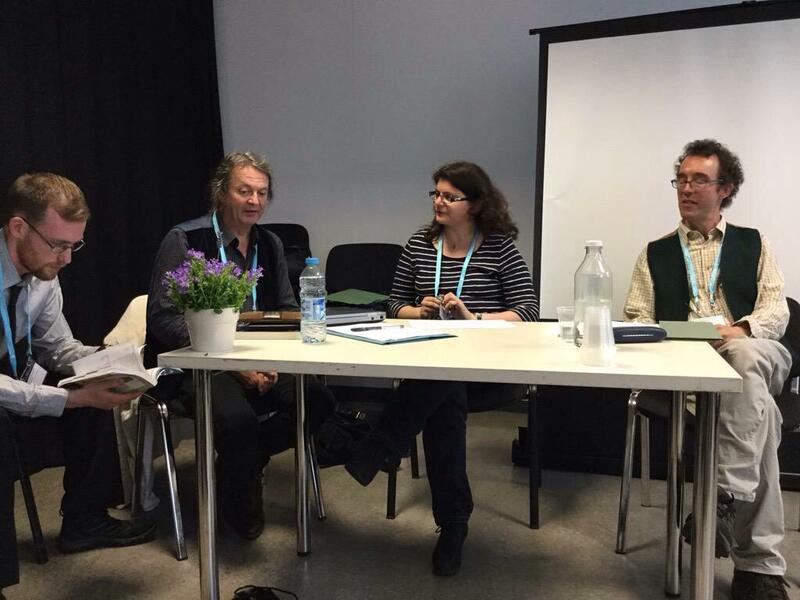 Joanna Szwed-Śliwowska presented a fascinating paper on Polish historical fantasy. Given the scarcity of early medieval sources for Polish history, the interplay of medievalism and fantasy gets even more complex in Polish fantasy set in the Middle Ages. Andrzej Sapkowski is the only Polish fantasy author I know much about so this paper really whetted my appetite to read more; not to mention to learn Polish. I wish she had included a powerpoint so I could write down the names of the authors. With luck, Sapkowski’s success will lead to more translations. The Q&A managed to avoid getting bogged down by definitions of different modes of fantasy, thankfully. Our panel came at last. Attendance was a bit sparse, which I attribute to post-dance remorse, but our papers were well-received and there was a good Q&A. Julie Le Blanc talked about how women deal with violence in Táin Bó Fraích and Longes Mac nUislenn. She made apparent how power shifts between characters in the narrative and how Deirdre and Findabair are active in very different ways. I talked about how some saints in Old English poetry (Andreas, Elene, Guthlac and Juliana) have often been called passive when what’s really going on is active nonviolence. Thankfully nobody ambushed me with a ‘Have you considered…?’ question. Kyle Hughes discussed the interplay of personal honour and communal good in the Icelandic sagas and the place the conversion of Iceland plays in the structure of Njál’s saga. The cross-cultural nature of the panel made for a ranging and interesting discussion afterwards. 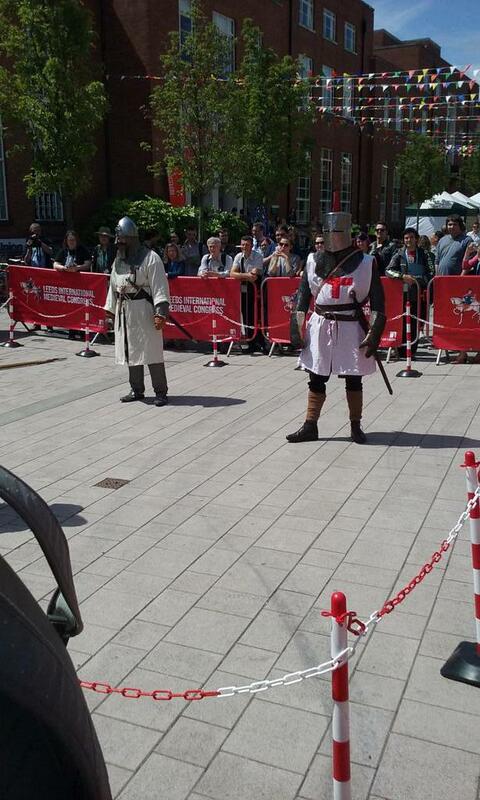 A very French lunch from a food truck and strolling through the craft stalls, falconry demonstrations, and combat re-enactments of Making Leeds Medieval rounded off the Congress nicely. It was only afterwards that I realized quite how interdisciplinary medieval studies is. I’ve never seen people making lemon soap at a Joyce conference, weaving cotton at a Victorian studies conference, or designing picture books at a children’s literature conference. Maybe I just haven’t been going to the most interesting ones. Still, it’s heartening to see a conference where literary scholars, historians, archaeologists, numismatists, codicologists, art historians, textile experts, digital humanities experts, legal scholars, anthropologists, folklorists, reenactors, and craftspeople of all kinds get together and collaborate. More of this, I say! Bus, plane, bus, home, food, sleep. Deo gratias.